Once you've decided on a career break, the choice of what to do with your home whilst you're away is up to you. You can invite friends or acquaintances to house-sit, leave your property unoccupied, register with a house-swapping agency or find tenants either on your own or through a rental agency. For people planning to be away for an extended period of time, the latter option provides both the best security and is most economical. Agencies not only will provide you with an income, but will take care of any problems whilst you're away. Using a rental agency during a career break is especially important if you plan to be away for more than just a few months, or if you will be stationed abroad and therefore unable to come back easily and deal with potential problems yourself. 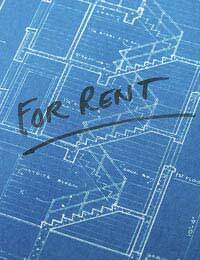 What Is a Rental Agency? A rental or lettings agency is a private company that, for a fee, will find tenants to live in your property while you're gone (most charge at least 10 percent of the rent). They will come to your flat or house beforehand and decide, with you, how much rent you will be able to get per month, then advertise accordingly. Their management fee will also ensure that they take care of any problems with your property - faulty plumbing, broken fridge, ceiling leaks - that may come up while you're gone. They will also find new tenants in your absence should the need arise. Only you can decide whether or not to let out your property furnished or unfurnished. If you are planning to be away for only a few months, renting furnished makes the most sense. If you are going to be away longer and/or have antique or expensive designer furniture that you don't want to entrust with a stranger, moving everything into storage would make the most sense. Shop around. High Street agents may be well-known, but they can charge exorbitant fees. Sometimes finding a smaller local lettings agency may not only be cheaper but ensure you are getting the best service possible. Both your mortgage lender and insurance company will need to be notified that you are renting out your home, and if you don't own the freehold you may also need the permission of your freeholder. Check your lease beforehand. Even if you choose to rent out your property furnished, you should still store all valuables that you would hate to see damaged whilst you're away. The cost of renting out a small storage unit starts at about £12 per month, but your contents insurance may go down if valuables are being stored. Take the agency's advice - but with a grain of salt. Some estate agent's want all properties to look identical, with cream carpets and beige walls. If all the walls in your flat are painted lime green who knows - you may get lucky and find someone who falls in love with it the way it is. Don't do everything they say just to pander to the most common denominator. Do your maths. If the agency says you could get £200 more per month if you repainted the entire house, decide if it's worth it. Remember, you can be eligible for tax breaks if you do repairs prior to renting. Talk to your accountant. It makes sense to use a rental agency if you are going away on a career break or a sabbatical for longer than a few months. They can help you decide on a weekly or monthly rent, get tenants for you and manage your property in your absence. But to ensure complete peace of mind, seek out the rental agency that is best for you. A career break should be a time of reflection and gaining new experiences. The last thing you want is to find yourself saddled with tenancy problems from home!